The wife of Nigel Farage yesterday barred The Telegraph from a Ukip fringe meeting instructing MEPs how to secure taxpayer-funded holidays for their friends and supporters. Kirsten Farage asked this newspaper to leave a fringe meeting outlining an EU scheme that subsidises holidays for political activists to Brussels and Strasbourg. The European Union spends £25 million on the subsidies for tours arranged through Euro-MPs' offices. Under the scheme, holiday makers are handed a subsidy of up to £200 in cash if they include a short visit to the European Parliamentary in their itinerary. That money can then be used to pay for hotel rooms, meals and transport. Ukip's use of the scheme comes despite Mr Farage's party being ostensibly opposed to wasteful spending in Brussels. Mrs Farage helped organise the briefing for the party's new MEPs, which was held in a suite overlooking the track at Doncaster Racecourse at the party's conference. "Oh dear," she said as The Telegraph arrived at the event, which had been advertised in the conference schedule handed to delegates. "We didn't really want the press." "I'd much rather not have any press here. It's an internal event. "I'm afraid I'm going to have to send you away." She said the meeting was to instruct new MEPs of the "logistics" of booking trips. 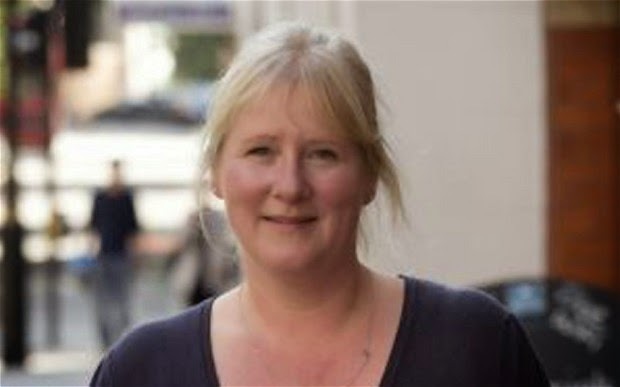 Asked about the scheme, she said: "Every MEP is allowed to take visitors' groups over from their constituency or region, or councillors, or business groups they are supporting, or supporting them. It's an EU scheme." She added: "It's a nice thing to do." One five-day package advertised on a stand at Ukip conference, organised by a private tour operator, included a visit to the castles of Koblenz, a tour of Strasbourg Cathedral and a boat trip along the Rhine. The visit to the Parliament in Strasbourg lasts two and a half hours. After the EU subsidy, the holiday costs £389 a head. Another seven-day Ukip tour takes in Verona, Lake Garda, an excursion to Venice and a tour of Vicenza, known as the City of Gold, before driving on to Strasbourg for a short visit to the Parliament. Other taxpayer-subsidised tours incorporate visits to the tapestry at Bayeux and Monet's garden in Giverny before visiting the European Parliament in Brussels. >GUEST POST - And Now For Something Completely Different! This photograph, allegedly taken in the late 1970s, appears to show a young Nigel Farage making his second publically recorded political statement (the first being when he was seen by staff at his private school singing Nazi songs). 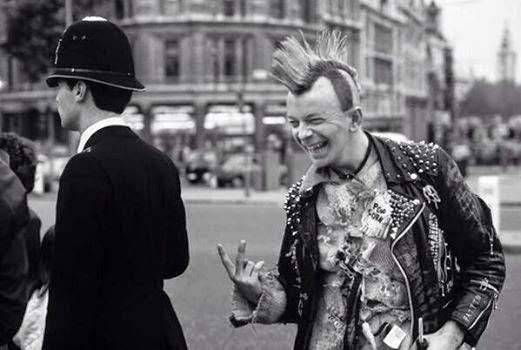 Farage is known to have more than a passing aquaintance with Punk Rock, a fact which makes the picture particularly interesting to us. One fact we can confirm is that UKIP want this picture purged from the internet. We note that Farage's alleged mistress Annabelle Fuller has had numerous articles about her removed from the Google search engine. UKIP - rewriting history!